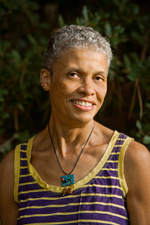 Linda Ternoir grew up in Chicago, Illinois. Her imagination was kindled by stories, dreams and music. She began making drawings from these inspirations when she was a small child. Her mother was an educator, pianist and watercolorist. From seventh grade through her sophomore year in high school, Linda studied art at the Art Institute of Chicago. After high school, she majored in art at the University of Illinois. Linda has visited Denmark, Brazil, Alaska, Mexico, England, France, Spain and Italy. She loves animals, nature, and has a high passion for the arts.  Linda's art has been exhibited in group, duo, and solo shows. Her work has won many awards. She has a daughter, a son, and two grandsons. She lives in Pasadena, California, with a cockatiels and desert tortoises.She enjoys movies, plays, walking, hiking, reading, and writing. What touches me? What moves me? What is important to me? These are the things that inspire my art. Things for which I have a strong feeling. My paintings and drawings evolve with me as I discover more about my relationship with life. I paint with acrylics, often applying collage. I draw with ink. At times, I use colored pencils and oil pastels. I work from my imagination and memory. This is an exciting and challenging way to make art. I enjoy the freedom to invent and explore. Title: "Linda Ternoir Art Show"
Title: "Paintings by Linda Ternoir"
Title: "Art by Linda Ternoir"
Title: "The Art of Giving and Receiving"
Title: "Labor Day Weekend Sale and Exhibition"
Title: "Art Exhibition and Sale"
Title: "From Pigments to Pixels"
Title: "Holiday Season Art Competition & Exhibition"
Title: "2995 - 2006 New Members Exhibition"
Show: "A Classic Gauguin Reassembled from the Work of 53 Local Artists"
Award of Merit: "Car Triptych"
Award of Merit: "Landscape Edwin"
"Child Art: Methods and materials for motivating creative expression"